John Favreau returns to his independent film roots as the writer, co-producer, director, and star of Chef, an inspiring comedy/drama that will have you licking your lips and appreciating the art of cooking. Favreau stars as Carl, a renowned chef who quits his job at a restaurant when the owner refuses to allow him to deviate from the menu and cook some new food. After receiving an unfavorable review and entering into a Twitter war with a critic, Carl is publicly shamed and out of a job. His ex-wife (Sophia Vergara) encourages him to return to his Miami roots and open up a food truck. Inspired by the atmosphere and the Cuban cuisine, Carl is soon traveling cross-country on his own food truck with a co-worker (John Leguizamo) and Carl’s neglected son. Can this road trip help Carl find his passion and reconnect with his son? Or will this latest venture end in disaster? Favreau not only trained at a culinary school and worked on a food truck to prepare for this role, but he also hired chef Roy Choi as a consultant and co-producer. This was a smart move as the cooking scenes in the film are simply scrumptious to watch. Favreau succeeds in showcasing the precision and pride that chefs take in their food; indeed, a simple act of making grilled cheese is turned into an art form on screen, and one cannot help but be inspired to cook after watching this film. 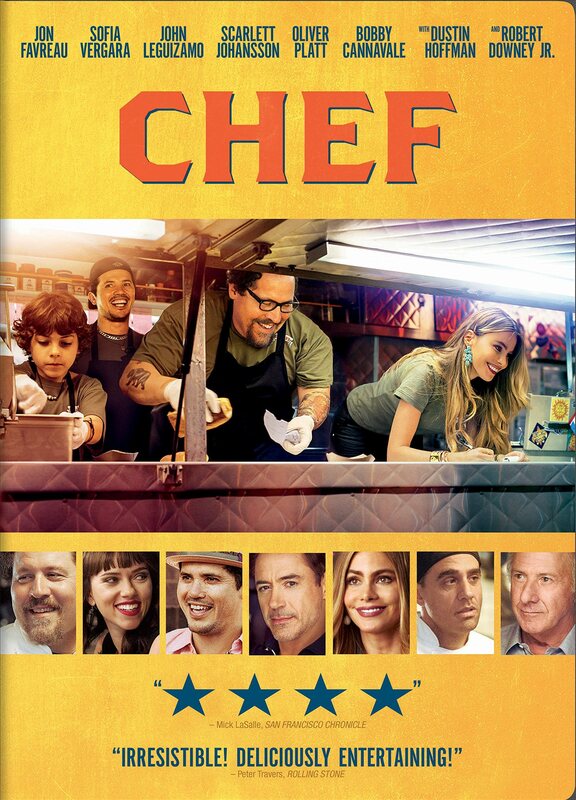 Including cameos from big names like Dustin Hoffman, Robert Downey Jr., and Scarlet Johansson, Chef is a charming independent film that is worth checking out.